The James Beard Foundation held its annual awards gala on May 4th, 2015. The annual awards are often referred to as the “Oscars of the food world” and winners are held in high regard. This year of the 10 best chef awards, Aaron Franklin was awarded with best chef in the Southwest region. While this is great news for the well-respected Franklin and the barbecue industry as a whole, it does beg for a deeper dive into why a barbecue cook was able to win an award for something more traditionally given to those whose craft is considered artistic and more complicated than smoked meats. While it requires patience and accuracy in cooking, slow smoking is fairly simple. I know this is over simplification; the smoking process itself takes long hours through the night while maintaining proper temperatures so technically it takes much longer to prepare a barbecue plate than to prepare a fine dining plate, but the ingredient list for a plate of barbecue with sides pales when compared to the ingredients and prep for many fine dining plates. I wouldn’t expect someone to raise their own cattle so the point with ribs and brisket is pretty moot, but the argument with sausage is bigger. A number of joints craft their own sausage and stuff it onsite. In fact it seems that the sausage craft has been growing recently, with some joints pushing the envelope. Duck and Pork sausage with goat feta cheese, mac and cheese sausage, sausage with bacon, and sausages featuring turkey or deer can be found. Even a simple house made beef sausage like those served in Luling, and Lockhart can have a great flavor experience. Those with a coarse grind, snappy casing, and which spew juice when bit into are my favorite. I am also not a fan of the turkey at Franklin. It sits in a bowl of liquid and each slice is dredged though it as well. Yes the meat must be trimmed and seasoned, but there is no aging, brining, or other requirements. When completed the meat is sliced simply. Arguably here the method of slicing the meat is important, but it is not something that takes months or years to learn. At Franklin as with many barbecue joints, once sliced the meat is simply placed onto butcher paper and the sides are in Styrofoam containers. Within a brief walk there are several top quality barbecue joints and within a five mile radius there are others that are worthy of a visit; most of them with little to no wait at all. Want a side other than cole slaw, pinto beans or potato salad? You’re out of luck. The sides are fair, but none of them wow me. Look for an upcoming post on the best barbecue sides around, but the sides offered at Franklin could be interchanged with just about any random joint in Texas. For the proteins your choices are brisket, pork ribs, pulled pork, turkey, and sausage. Beef ribs are available only on Saturdays. One could expect that the “best chef in the Southwest” would have desserts made on site. Instead they are provided by local bakery Cake and Spoon. The desserts are very good, and not meaning to demean the bakery, but there are a number of barbecue joints that make excellent desserts in house. That line. Gawd that line. Can’t they do something about that line? They really don’t have capacity to cook more, and with the number of employees plus desire for quality control they cannot continue to increase capacity in a pace that would satisfy the crowds. Franklin also has resisted expansion to additional locations or cities. While it would quickly and easily make him wealthy, I appreciate the restraint and commitment to quality. It’s kept the supply and demand loop in place and made the line itself part of the experience when visiting. To their credit, you can use the restaurant bathroom, they now have a ‘borrow a chair’ corral, and they offer refreshments while waiting. To their discourse, I think they could have added an awning of sorts over the bulk of the crowd. Some other barbecue joints also hand out free beer on the weekends, a definite treat for those who like to imbibe. So how on earth did Franklin earn the James Beard award? What Aaron Franklin and team have done is work hard to maintain their quality consistency day in and day out. It’s not difficult for a joint to have a bad day- for someone to not pay attention to the fires and to then serve a less than ideal product. While I have had days at Franklin where the barbecue was immaculate, I’ve only had one trip where it was less than expected. Even then the barbecue was still at top 10 quality. For those who have never had top tier barbecue, that first visit to Franklin can be truly eye opening. 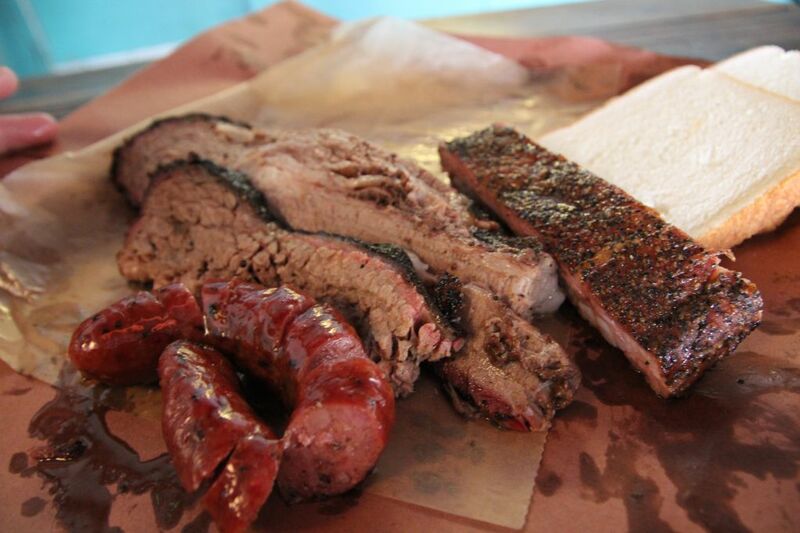 Top tier barbecue is a whole new world of flavor and all five senses are rewarded with an experience like no other. I would believe that many who visit Franklin have not had that top tier yet, especially those traveling from out of state or country. There are much worse ways to spend a half-day than experiencing the line and chowing down there. The barbecue eater has grown in knowledge. Due to the popularity of the genre, books from the likes of Robert Moss and Daniel Vaughn, and the ease of information via the internet the barbecue acumen of the average consumer has increased, even in cities and states far away. I have witnessed this many times talking with folks while waiting in line at various joints. Much less common these days is the extra lean brisket with bark completely removed that seemed to be routine in the 90’s. What Aaron Franklin and team have done has transitioned the entire barbecue industry. They have made it hip. Just search on instagram or twitter and you’ll see how popular and far they are reaching. In one way, it is what the MS150 did to cycling. When I tell people I ride bicycles their first question is usually “Have you ridden the MS150?” The same is true when I tell someone that I like to travel around and eat barbecue, “Have you eaten at Franklin?” Franklin Barbecue has opened the doors to a whole generation of pit masters. Not necessarily because they want to emulate him, but the popularity of barbecue itself has grown in a large part due to his success. Sure, there have been barbecue restaurants for over a hundred years before Franklin jumped on scene, but take a look at the list below. Even existing restaurants have stepped up and improved their quality. I know of several that realized that their product could be better and who have worked to improve, based on a visit to Franklin. The barbecue scene in Austin was impacted by Franklin and even Houston, which was in a sort of barbecue recession, has made great strides since Franklin launched his little trailer. 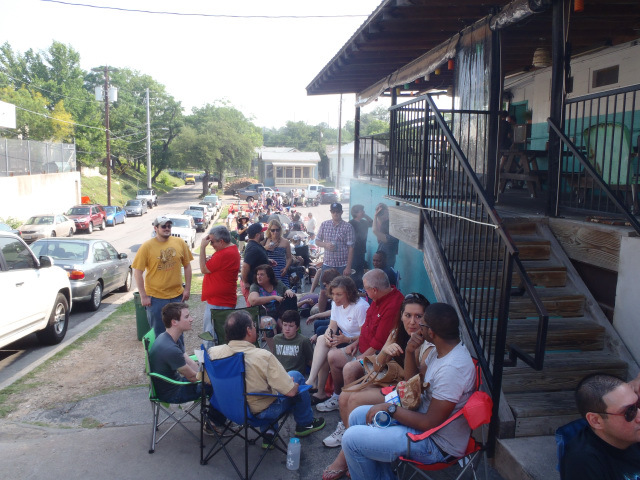 Just 6 years ago there was no Franklin Barbecue. Not even the trailer. There was just a guy throwing a handful of events in his backyard and working hard to perfect the craft. Yes there were great barbecue joints before, but since Franklin made his mark on the barbecue scene, more and more great joints have popped up. 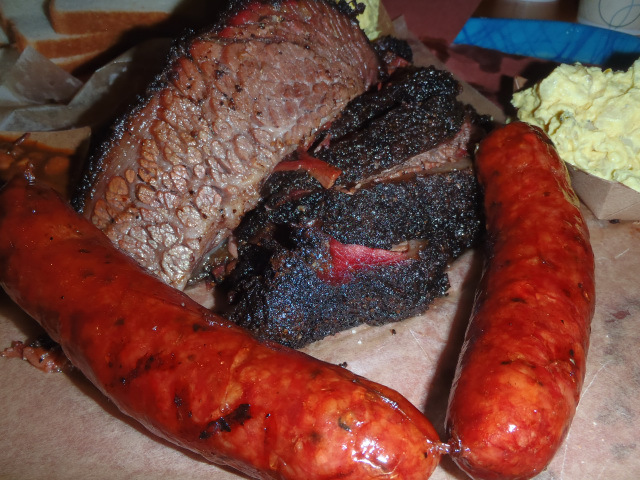 In the 2013 Texas Monthly Top 50 list, 14 of the joints didn’t exist prior to Franklin. So did Franklin deserve the best chef: Southwest award? Yes. In my opinion his achievement went beyond just smoking and serving up great barbecue, it was an influence on an entire industry. The bar was raised and the door was opened for others. 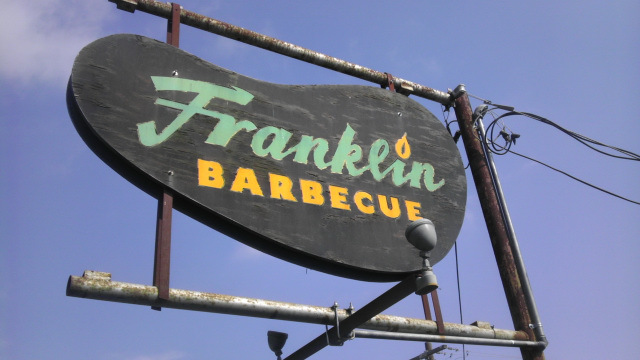 Below is a short list of notable barbecue joints that have opened since Franklin launched. Again I am not inferring that Franklin directly had an impact on any of them, but rather than by his success and quality model, he has had an indirect but real impact.